Bamboos in Cornwall? You bet! I visited Trebah Gardens in Cornwall in South-West England, a sub-tropical paradise near Falmouth with a stunning coastal backdrop of the Helmford River. It is one of the Great Gardens of Cornwall and rated among the 80 finest gardens in the world. The garden has an interesting collection of bamboos and I therefore wanted to get some photos for the International Network for Bamboo and Rattan (INBAR). The bamboos in Trebah Garden are grouped together in a specially created maze of paths known as the Bamboozle which zig-zags alongside the small stream that eventually flows into Helford River. 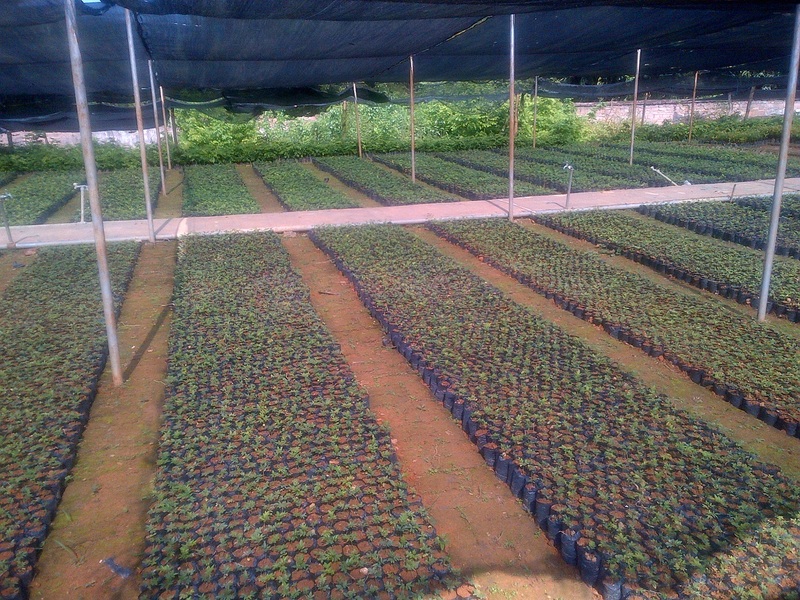 There are some 40 different species and cultivars to be found there. It surprised me to see so many bamboos in an English garden, but the micro-climate in this area is very gentle. The fairly narrow, steep valley runs north-south into Helford River, and rarely experiences frost. 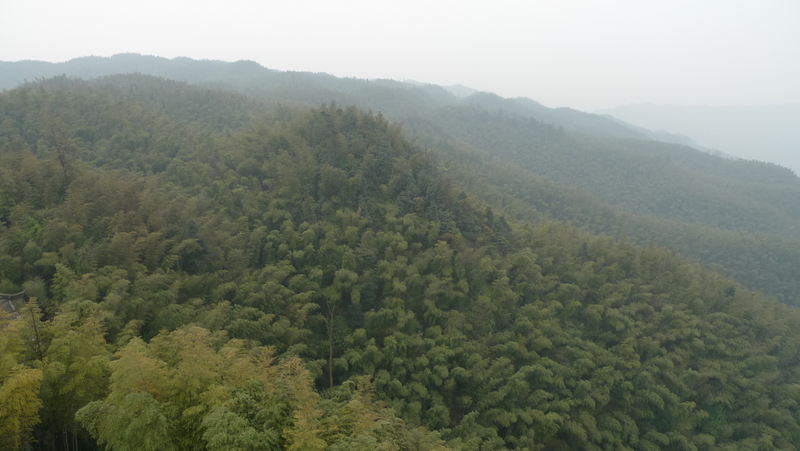 The steep slopes protect the plants from severe winds. It was unfortunately raining when I visited Trebah, but this clearly benefits the bamboos as well. They all look very healthy, and there were many new shoots. Bamboos shoots are a delicacy in China, and the local squirrels in Trebah Garden also like to take a bite out of new bamboo shoots. 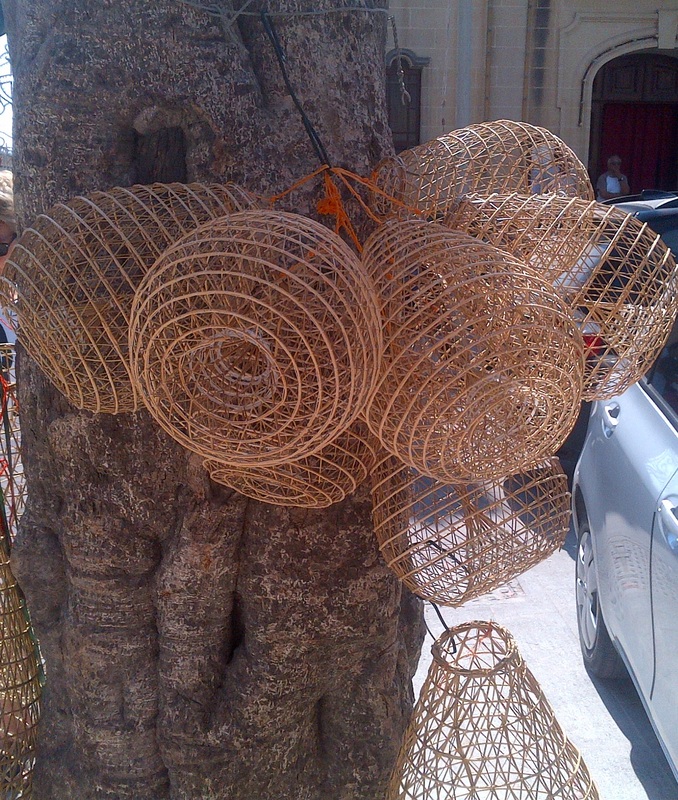 In order to avoid this, the shoots are protected with wire mesh. Most of the bamboos in Trebah Garden come from China, which is not surprising as the largest number of bamboo species are found there. 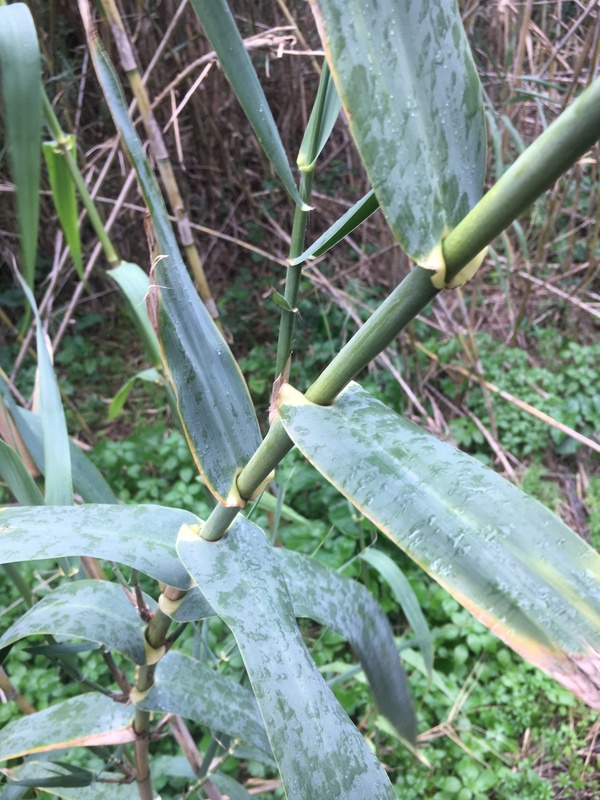 But there are others in Trebah Garden as well, and I was taken by Thamnocalamus spathiflorus from the Himal Region, which is a clumping bamboo with relatively thin culms. The Garden has several Phyllostachys species, including a hybrid that was cultivated in Trebah Garden. It has beautiful thin yellow culms. There are also several nice stands of Phyllostachys aurea. 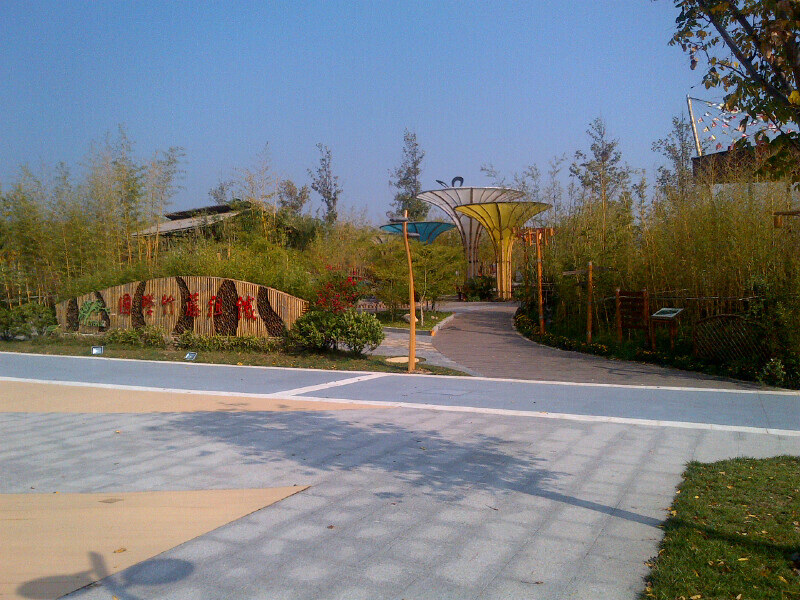 Apparently, the English name is fishpole bamboo, so it was appropriate that the bamboos are planted around a small lake. For security reasons, they have positioned a life-ring next to the healthy bamboo clump, as you can see on the following photo. 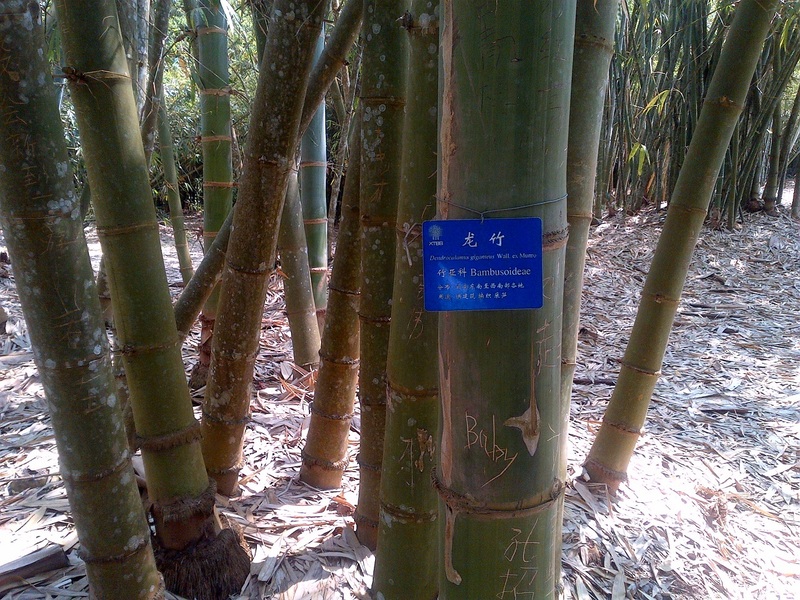 The common Moso bamboo from China, Phyllostachys edulis, is also very happy in Trebah Garden, and there is an information plaque about its incredible growth rate. In China, this species can grow up to one metre per day, and can reach heights of 30 metres, but the English climate does not provide for this. According to the information on the board, the growth rate in UK is up to 20cm per day and the maximum height is 6 metres. That is still a lot faster than any tree species that I know of! 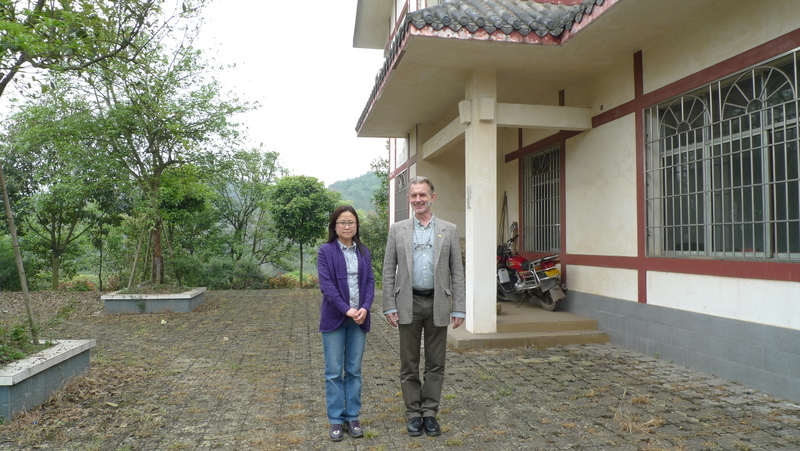 This was a nice visit to a beautiful garden and a very interesting discovery of healthy bamboos in the UK. 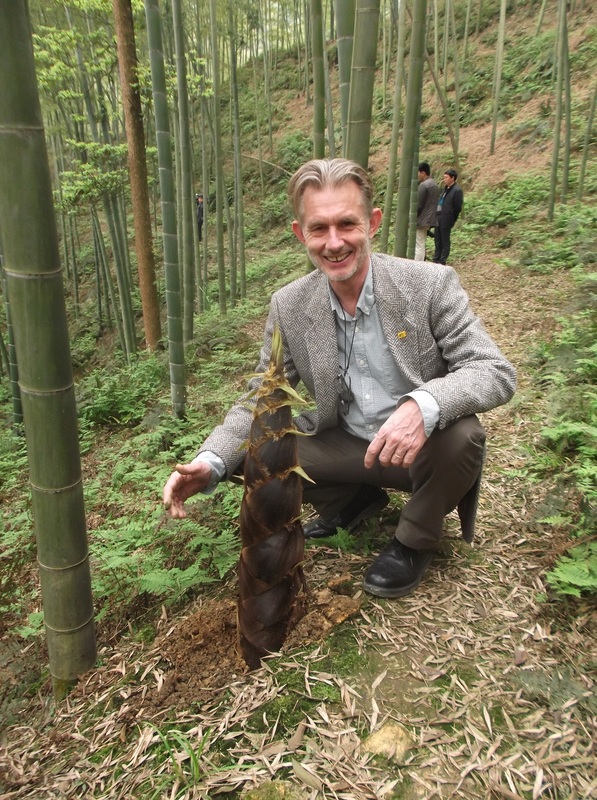 For more information about bamboos in the UK, you can contact the Bamboo Society of Great Britain . They had a meeting in Trebah Gardens last May! 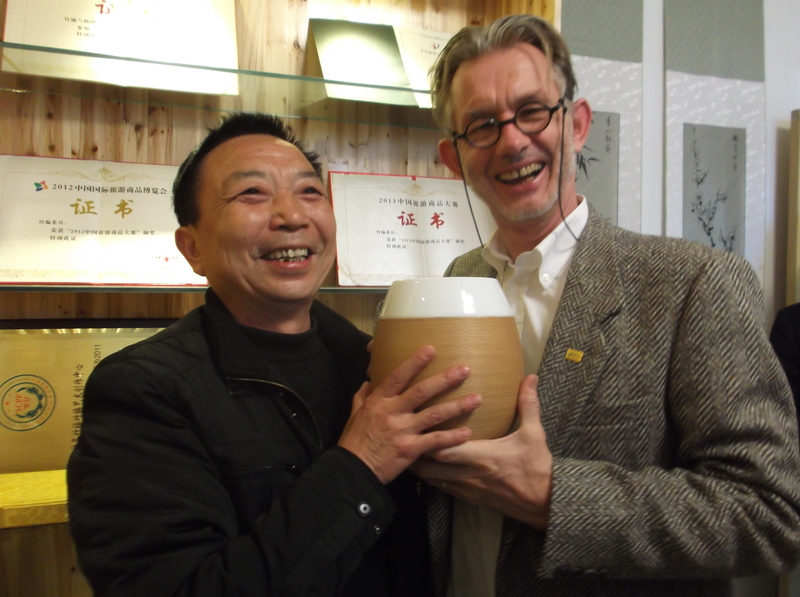 I was recently in Europe, and talked with different people about bamboo. 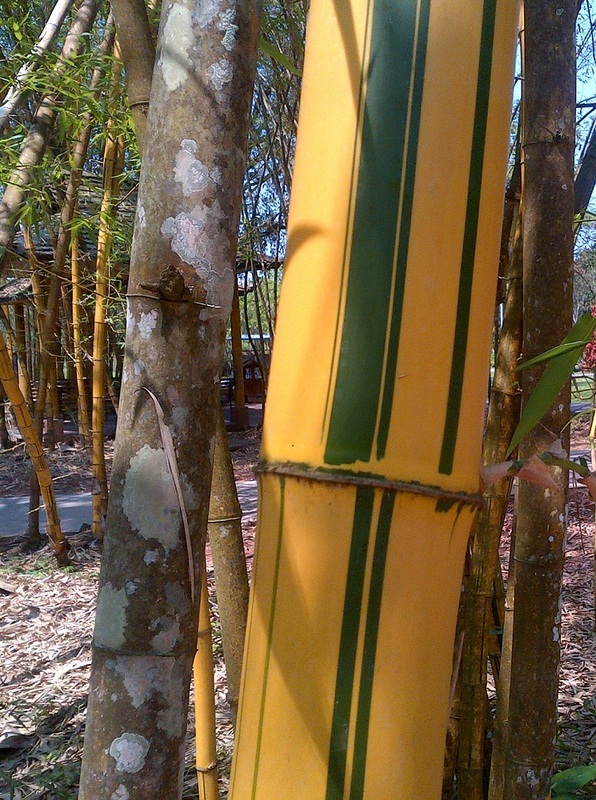 Many see bamboos as a threat, and talk about the invasiveness of bamboo. I wonder how big a threat this is. Bamboos are members of the grass family, and there are 1250 different species. 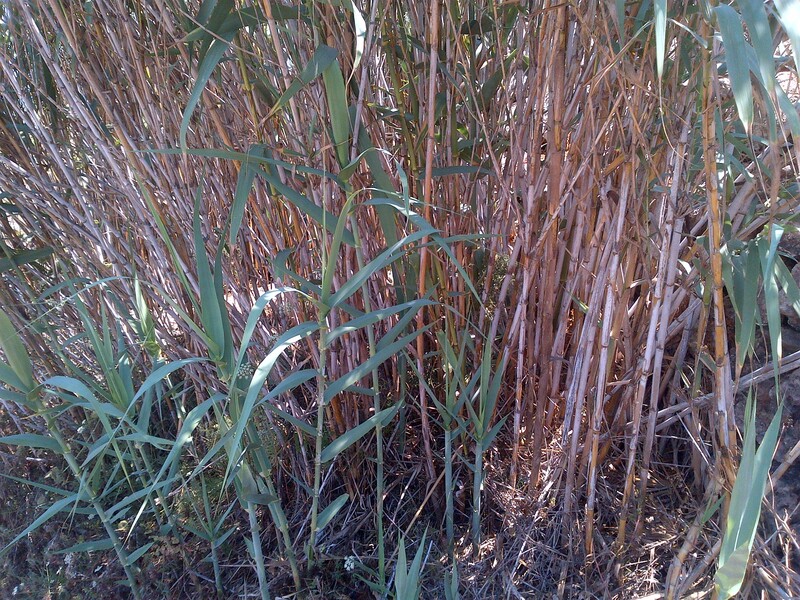 Like many grasses, bamboos are perennials with a rhizomatous growth habit. The woody bamboos, which make up the vast majority of bamboo diversity, are classified into two large groups, the temperate woody bamboos and the tropical woody bamboos. The temperate woody bamboos occur mainly in China and Japan, and most are characterized by running rhizomes, and relatively long flowering cycles, often on the order of 60 or 80 to 120 years. The Chinese Moso bamboo (Phyllostachys edulis) is one of the best known temperate woody bamboo species. The tropical woody bamboos occur in tropical and subtropical zones in Central and South America, Africa, Asia and Australia. With few exceptions, they have clumping rhizomes and their flowering cycles range from 7 to 60 years. 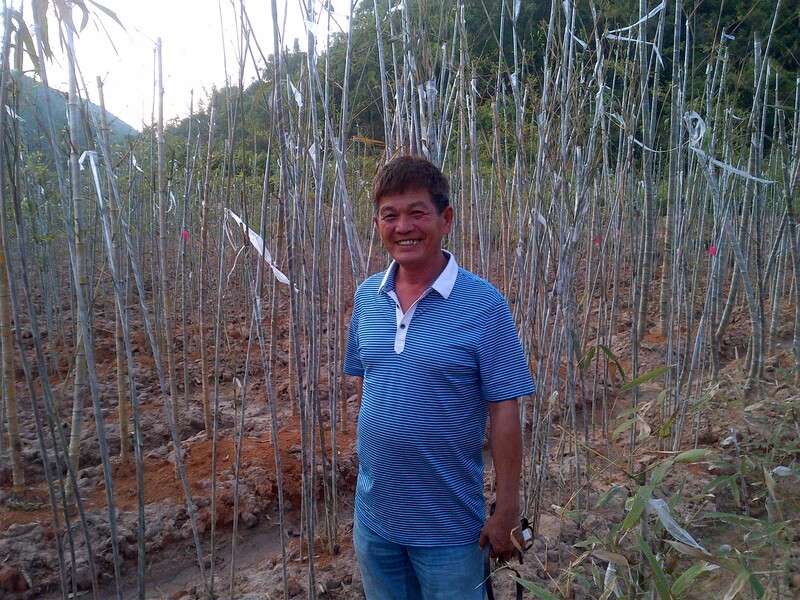 In general, when bamboos do flower and produce seed, most of the seed falls near the parent plants. Much of the seed may be eaten by birds or rodents, but some will germinate and reestablish the clump. 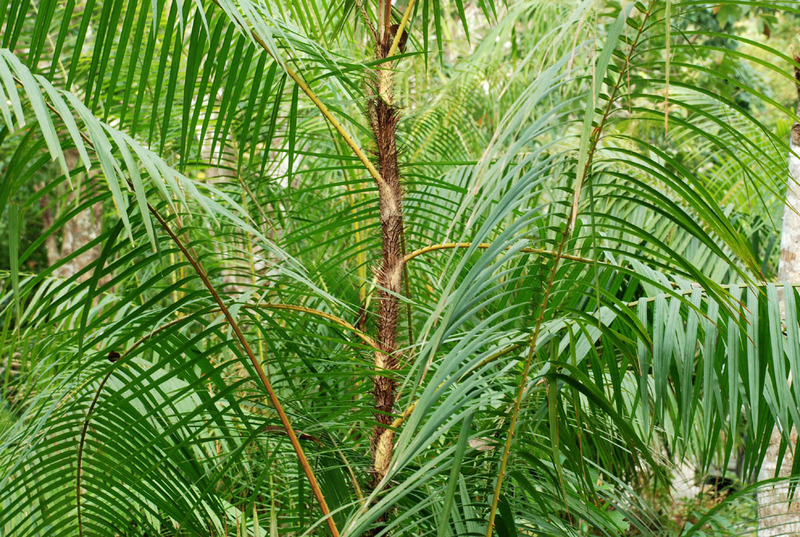 Although many bamboos have small bristles adjacent to their seeds, which may allow animals to accidentally transport them, this is not a very effective dispersal mechanism. Studies reported from USA suggest that dispersal away from the parent population is a relatively rare event. 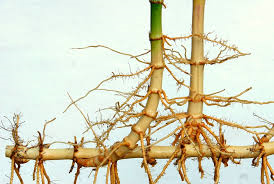 Most temperate woody Bamboos reproduce usually by rhizome growth. 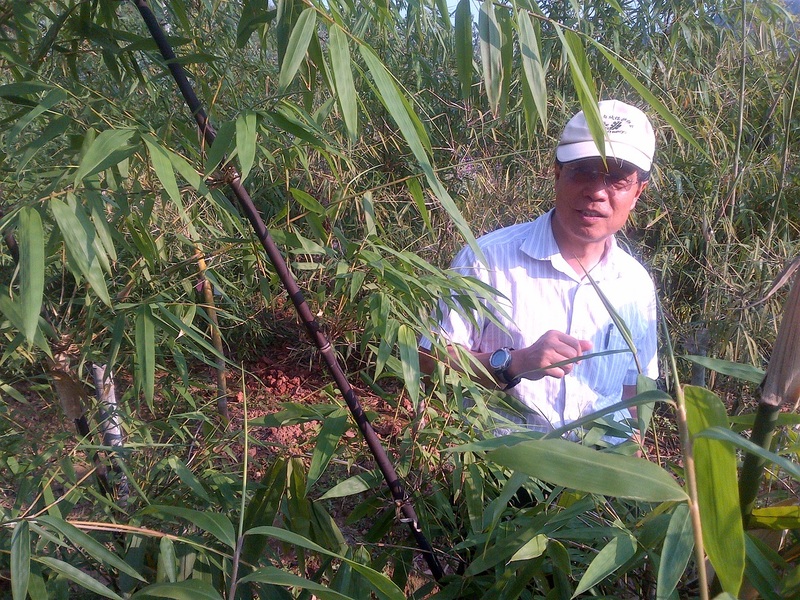 Running bamboos may extend their rhizomes from a few centimetres to several metres in a growing season, and this is often considered invasive behavior. 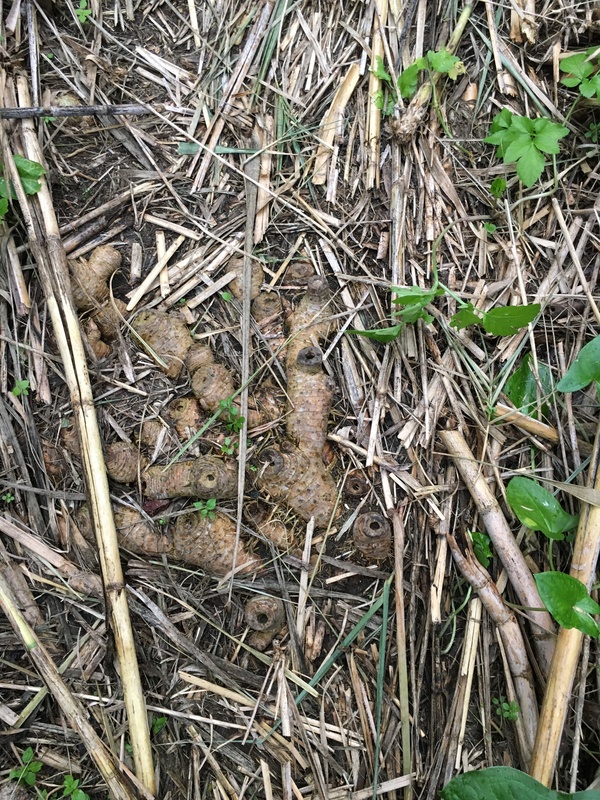 It is also possible that rhizome pieces could break off along river banks during floods or heavy rains and be transported downstream, but this type of dispersal is rare. The European Union has recently agreed a legislative text on Invasive Alien Species. The text, published in the Official Journal of the European Union on 4 November 2014, is in the form of an EU Regulation (Regulation 1143/2014), and becomes immediately enforceable law in all EU Member States on 1st January 2015. Unlike EU Directives, EU Regulations become national law without having to be transposed. The backbone of the legislation is the list of harmful invasive species (a ‘black list’ approach), namely ‘‘Invasive Alien Species of Union Concern,’’ selected only among species that are alien to the EU and that are identified as invasive through a detailed risk assessment. 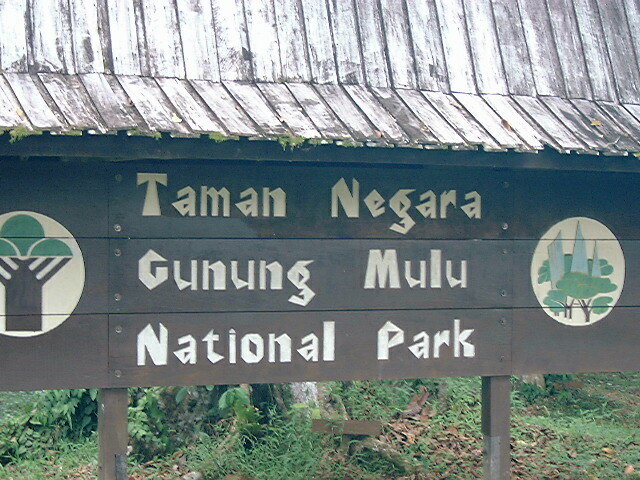 While the Regulation at this stage only lists a small number of species, there is concern about bamboo. 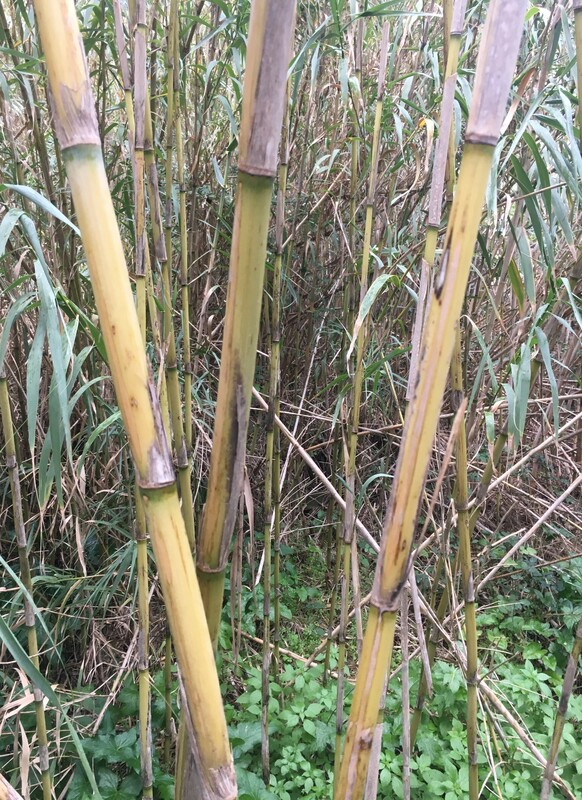 Personal communication with focal persons in DG Environment in Brussels and colleagues in Headquarters of the International Union for Conservation of Nature (IUCN) in Switzerland made it clear that Europe is worried about the potential invasiveness of certain bamboo species. 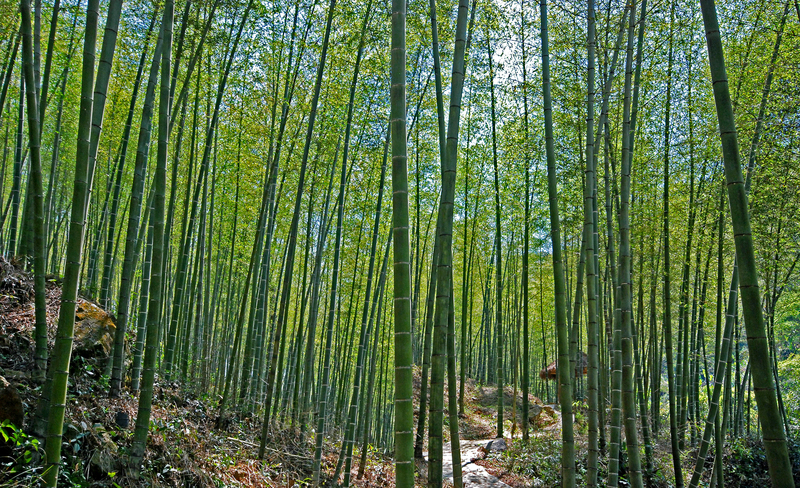 They made no differentiation between different bamboo species, and as a result all bamboos are considered as a threat. 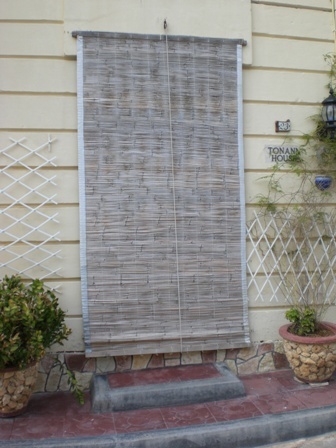 This is not right, as has been pointed out by the American Bamboo Society. They issued a statement in 2012 that says that bamboos generally have low potential for invasiveness due to their rare flowering, but recognizes that some running bamboos can be aggressive spreaders and form large stands if left to their own devices. The American Bamboo Society concludes that in almost every situation where bamboos are problematic, especially in urban and suburban settings, it is because people have not planted them properly, have not maintained them properly, or have not disposed of them properly. Yet, the United States Department of Agriculture (USDA) has a species profile for two bamboo species under its list of invasive species. USDA warns that this is not a list of all invasive plant species, nor does it have any regulatory implications, and the profiles are provided as an educational informational tool. The list includes Phyllostachys aurea (golden bamboo) and Nandina domestica (sacred bamboo). 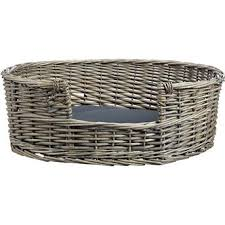 The US National Park Service list the following three species as invasive species: Common bamboo – Bambusa vulgaris; Golden bamboo – Phyllostachys aurea; and Arrow bamboo – Pseudosasa japonica. Interestingly, Australia is one of the most vigilant countries against invasive species, but it has no bamboo species listed in its list of Weeds of National Significance. The contradictions in USA and the concerns expressed in Europe show the need for clarity. 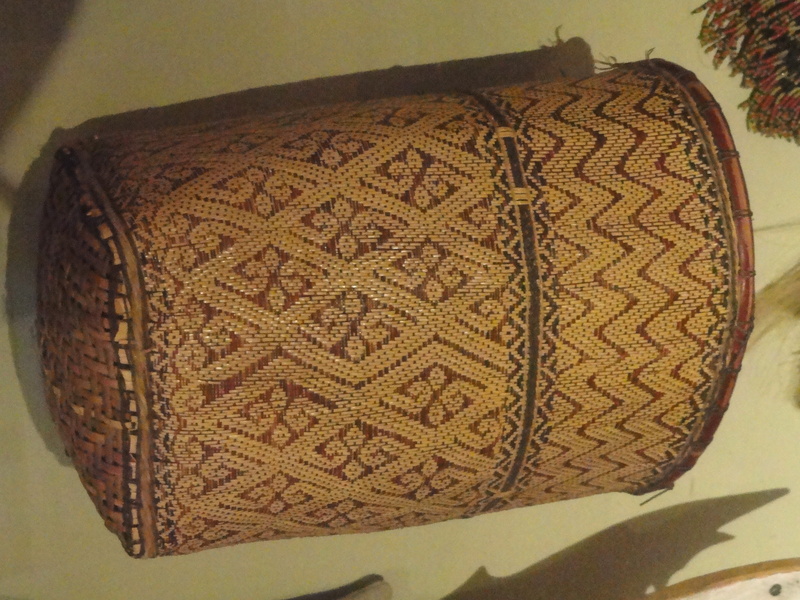 It is without question that the majority of bamboo species are not considered invasive, but some species may be a cause for concern. 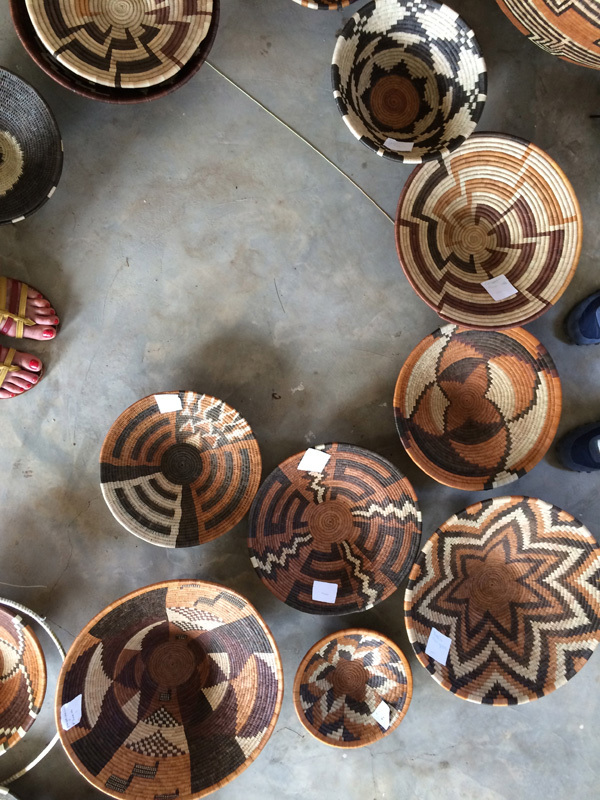 There is a lot of interest in the Global South to develop bamboo resources, and one approach to expanding existing bamboo cover is to introduce exotic species. 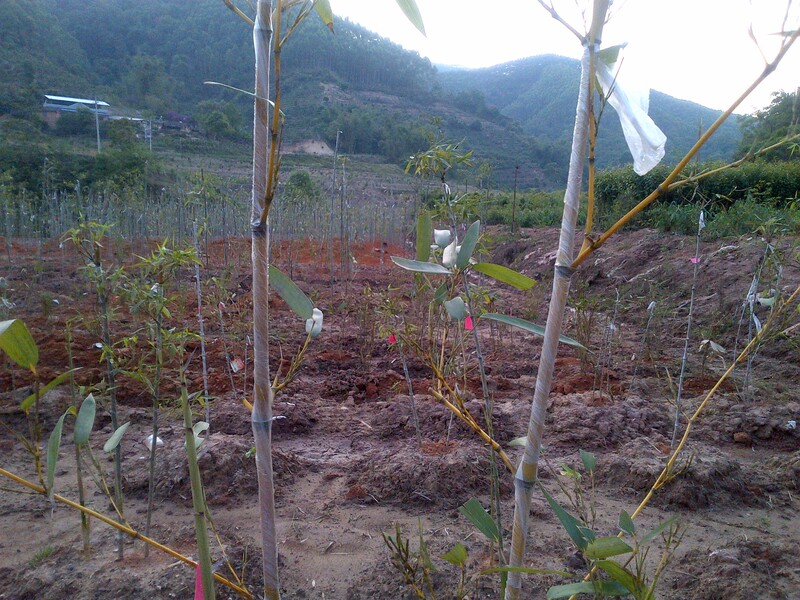 Without clear advice on the risk of invasiveness and guidelines on management of bamboo resources there is a possibility that we are introducing future problems. 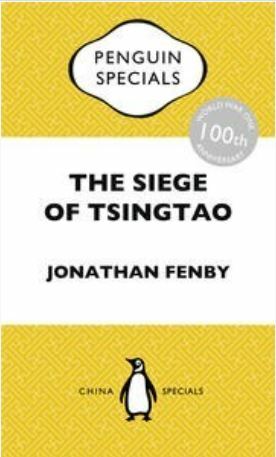 Last month, I read “the Siege of Tsingtao” by Jonathan Fenby. This is a book that describes the battle between the German forces in the port of Qingdao and the invading English and Japanese troops during in November 1914 during the First World War. It illustrates why Qingdao is a special place. 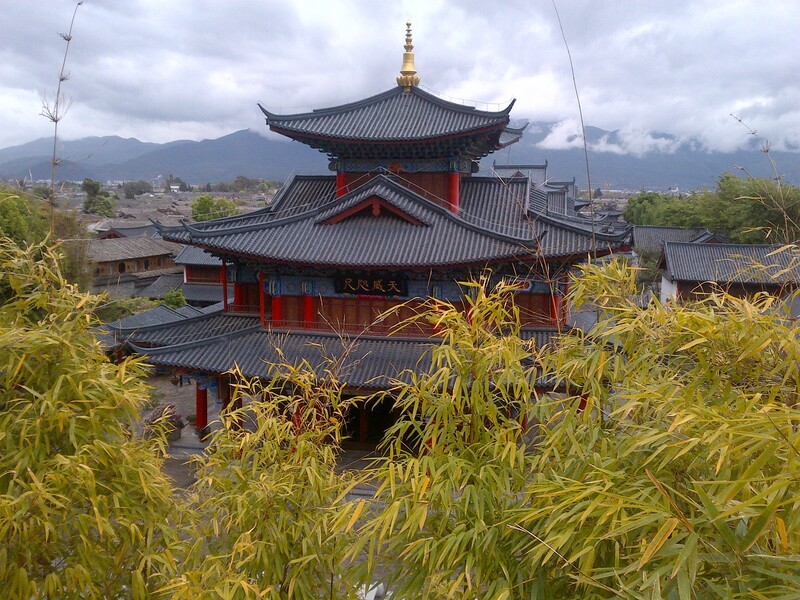 I have visited the town four times this year, and that is more than any other place in China. The reason for my visits has nothing to do with World War I, or German occupation, but is linked to the Horticultural Expo 2014. 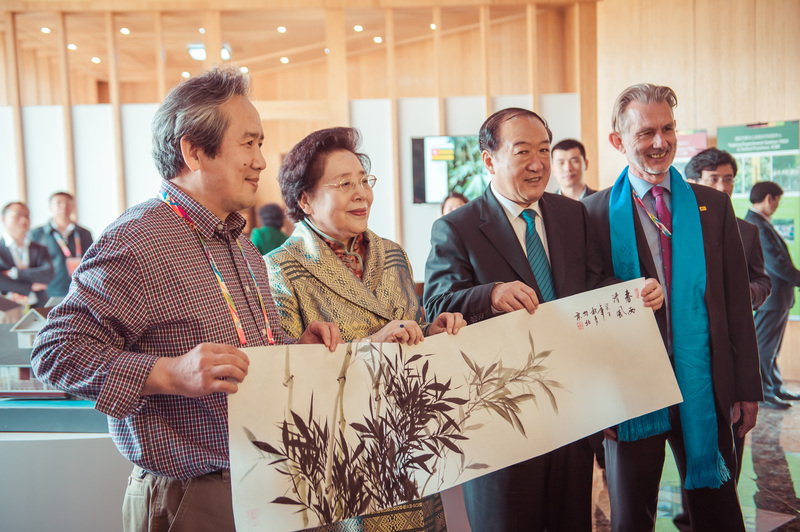 Every other year, the International Association of Horticultural Producers (AIPH) organises international horticultural expositions, and this year the EXPO was in Qingdao. 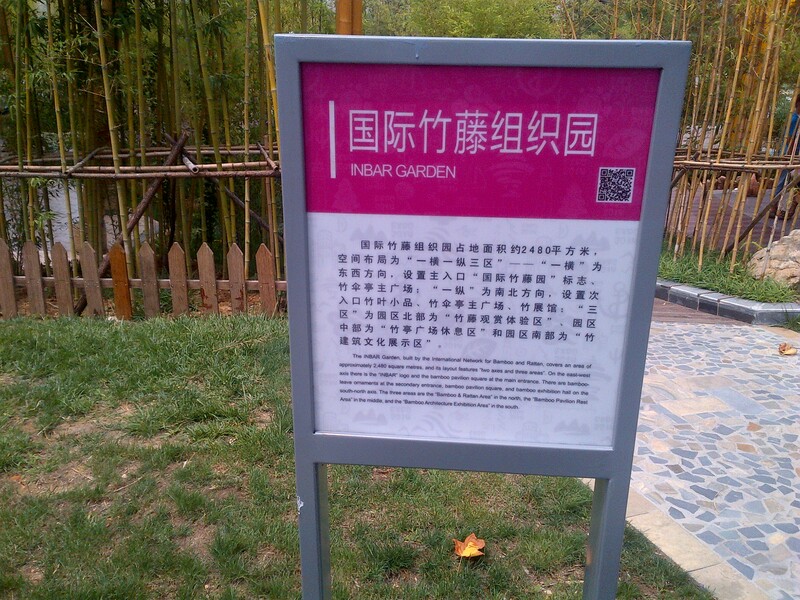 INBAR has a garden at the Qingdao EXPO, and this has been one of our main activities in China during 2014. I wrote about this on 3 May on my blog. 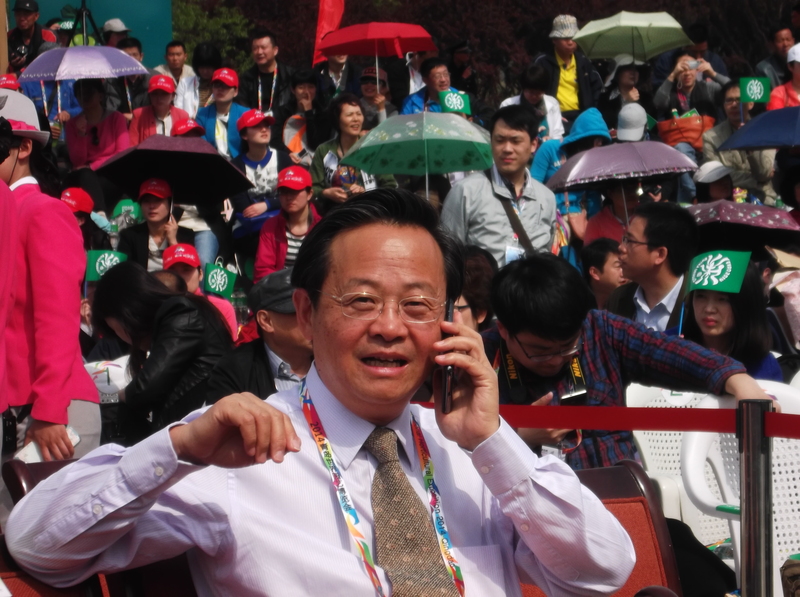 The first time I visited Qingdao was during the official opening of the EXPO in April. The opening ceremony was an amazing event with song and dance, music and flag-raising. 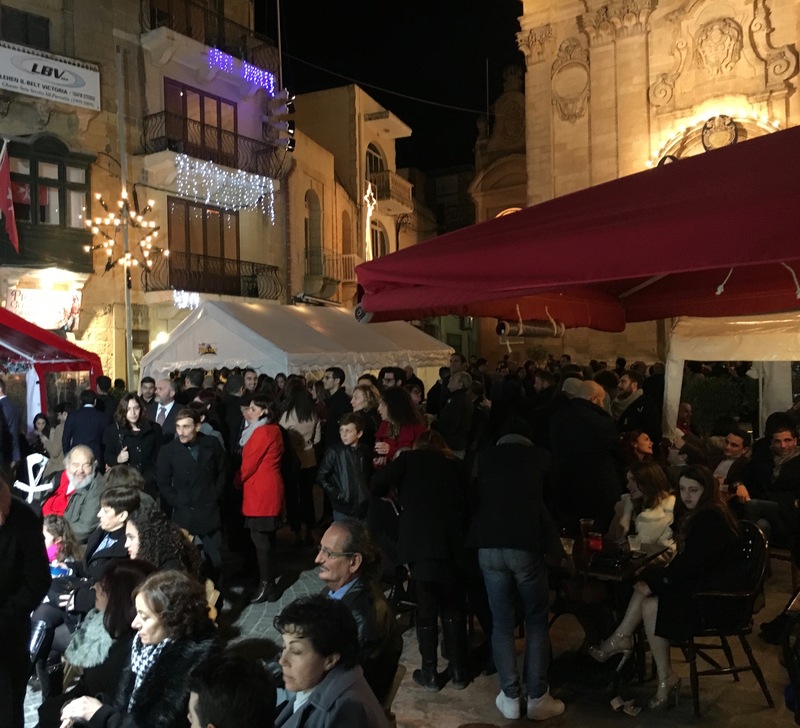 It started with a welcome dinner the evening before, and culminated in the official opening of the EXPO. I already wrote about this on 25 April this year. The day after the official launch was INBAR’s own ceremony to open our garden. We had an impressive occasion with several Ambassadors, high-level Chinese officials, local dignitaries and a group of invitees. 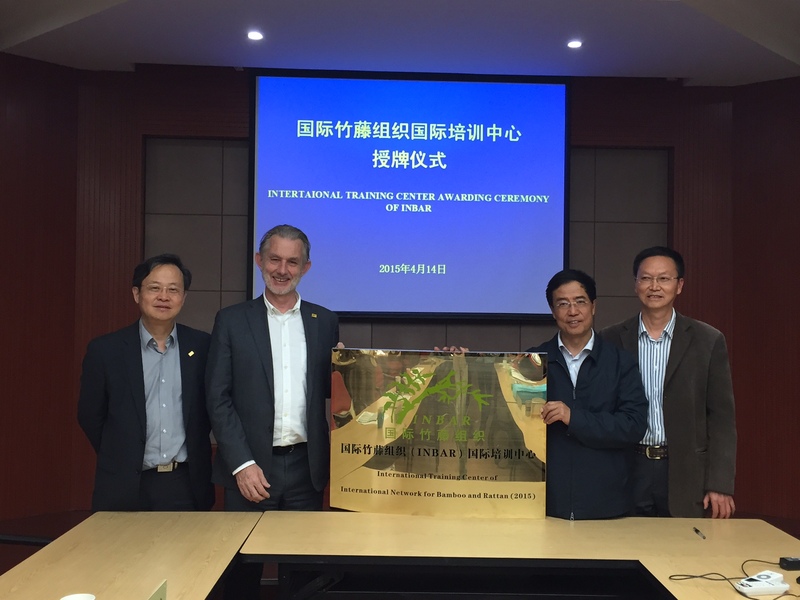 Professor Jiang Zehui, Co-Chair of the INBAR Board of Trustees gave the keynote speech at the opening ceremony, and invited Minister for Forestry Zhao Shucong to the INBAR showroom. 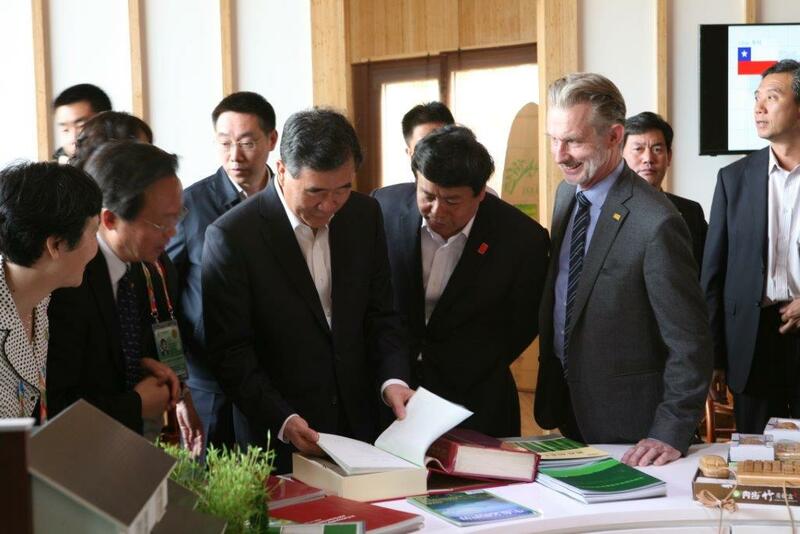 In May, we received notice that Vice Premier Wang Yang was planning to visit the EXPO. 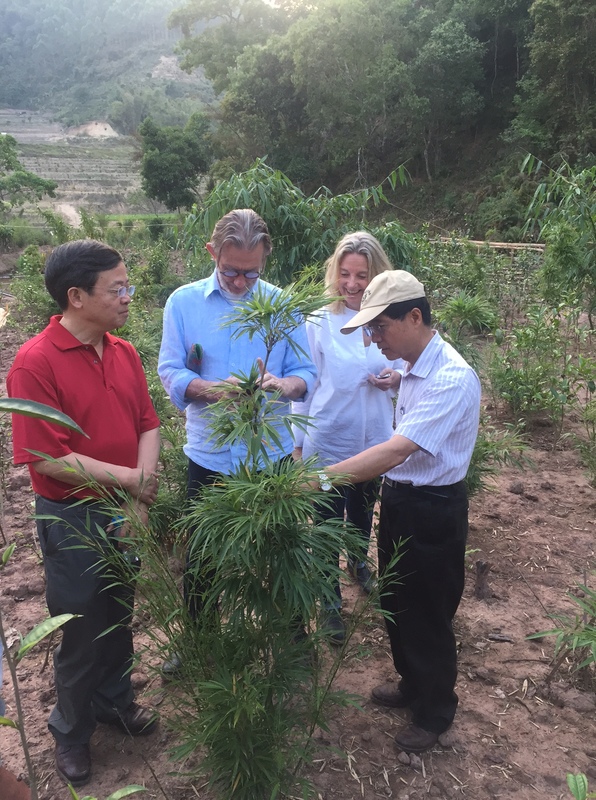 Vice Premier Wang is responsible for agriculture and forestry matters, and he expressed interest in paying a visit to our garden. INBAR Deputy Director-General Dr Li Zhiyong and myself flew to Qingdao to welcome the Vice Prime Minister, and show him around the INBAR showroom. 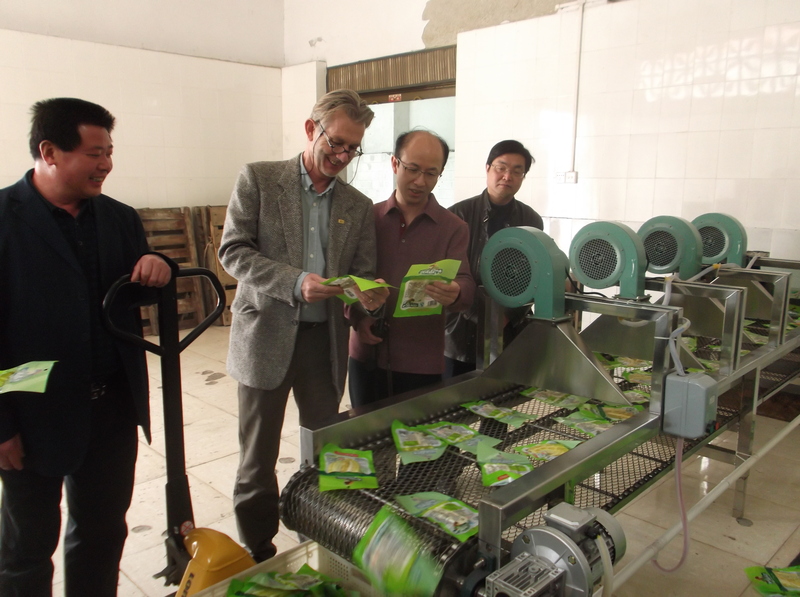 The Vice Premier was impressed with the garden and with the bamboo products on show. After the summer holidays, we organised a staff meeting in Qingdao to discuss the new 15-year INBAR Strategy and the associated re-organisation of the Secretariat, and to talk about fundraising. 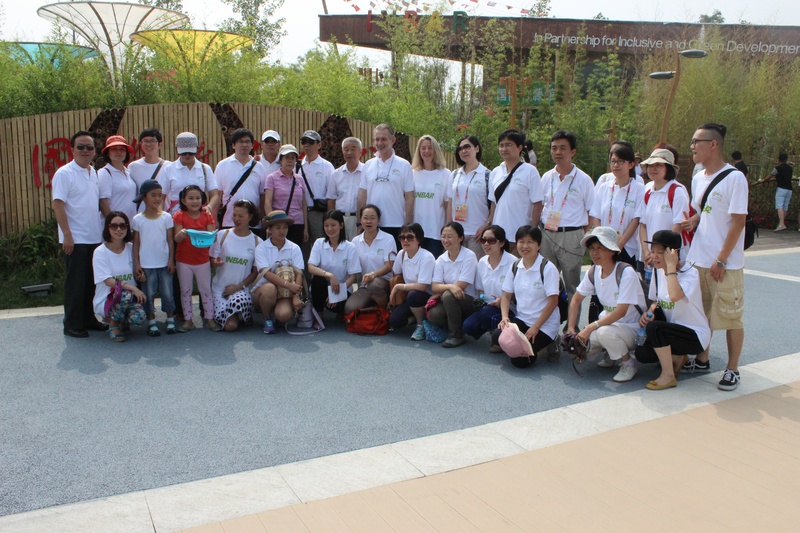 We also use the day to visit the garden with the full INBAR staff team. 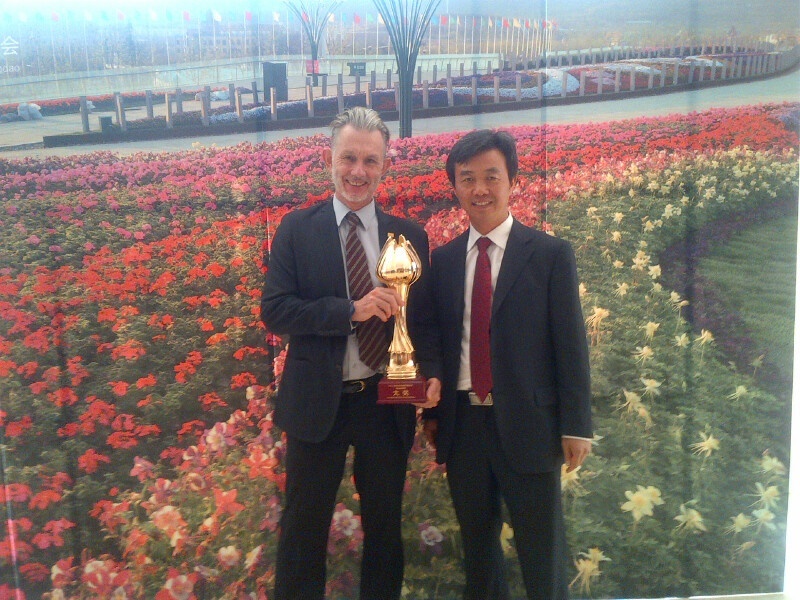 Yesterday, 25 October 2014, I returned for the closing ceremony of the EXPO. This was another impressive event, but shorter than the opening ceremony. I signed the transfer of management of the international gardens to the local authorities, on behalf of all the international partners. INBAR also received the Top Grand Award for our garden. I visited the INBAR garden for the last time, and it still looks very good. The outdoor decking has weathered well, he bamboo are nearly all healthy. The main building is still in good shape, and there was continued interest from visitors, both inside the building and outside in the garden. 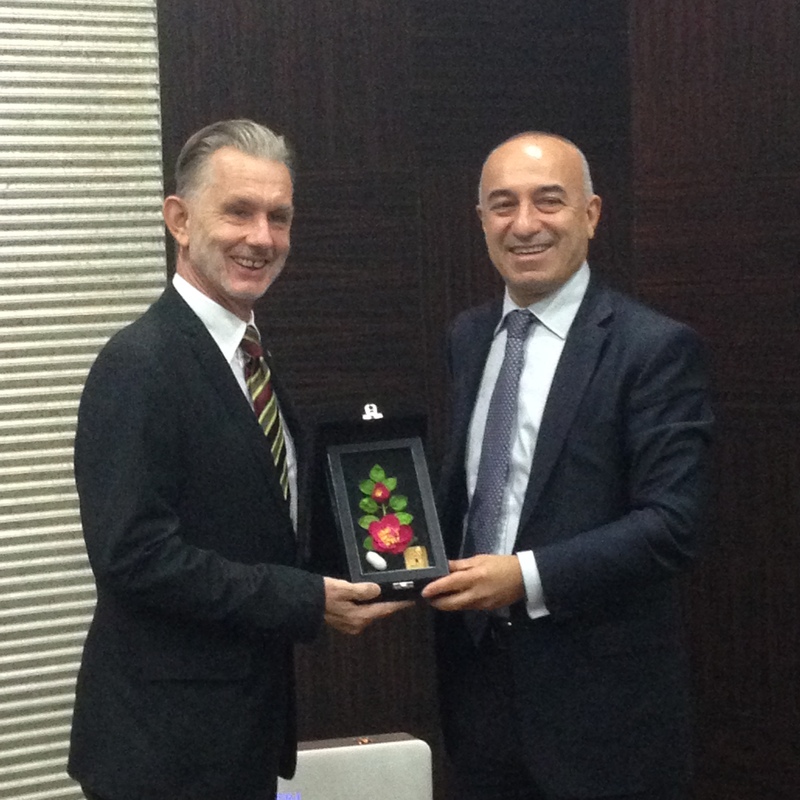 In 2016, the next Horticultural EXPO will be in Antalia, Turkey. We have started discussions about a possible INBAR contribution, and we welcomed a delegation from Turkey to our Headquarters the following morning. I will let you know what will happen!